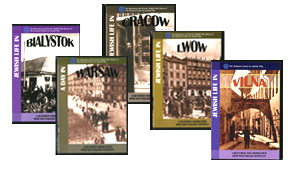 In 1938 and 1939, Shaul and Yitzhak Goskind of Warsaw-based Sektor Films produced six short films about urban Jewish communities in Poland. One, about Lodz, is lost. The other five - on Bialystok, Cracow, Lwow, Vilna and Warsaw — have survived. Viewed together or separately, they present vibrant portraits of people, communities and institutions all but completely obliterated after the Nazis invaded and occupied Poland during World War II. Vivid cinematography and music evoke the industrial and cultural center that was Bialystok in 1939. Images of smokestacks, power looms and textile workers; downtown shops and buses, market day with peasants and horses; schools, synagogues, the Sholem Aleichem Library, the TOZ sanatorium and a community-run summer camp reflect the diversity of the city’s 200-year-old Jewish community. In addition to the tile-roofed home of Dr. Zamenhof, creator of Esperanto, Jewish Life in Bialystok features memorable images of a spacious park where young adults relax and children play. Does not include Public Performance Rights. 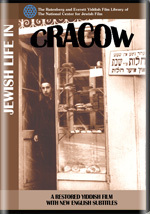 Focusing on Cracow’s Jewish quarter, this film intermingles old and new, using music to enhance the images. Streetcars share tree-lined streets with horse-drawn carriages; people conduct business under umbrella-covered markets and arcaded market halls; parks and schoolyards host sports, games and animated discussions. Scenes of the famous Remu Synagogue and the Alte Shul, an orphanage, a hospital, the Jewish Community Council and several schools convey the vitality of this age-old Jewish community. Stylish women promenade through modern Lwow’s thriving market squares to a piano-and-violin accompaniment suggesting urban rhythms. Also known as Lemberg and home to an old, well-established Jewish community, this city nestled in a valley projects an aura of prosperity. Parks and pavilions punctuate its public spaces as trucks, pushcarts and bicycles ply its busy streets. 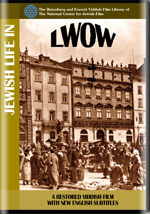 Among the Jewish community landmarks shown are the Yad Haruzim Trade Union Building, the Old Ghetto, the softly curving exterior of the Modern Temple, the orthodox school, the Moorish-looking Lazarus Hospital and the grave of the “Golden Rose”—filmed in warm, dappled light—and the Nowosci Theater. 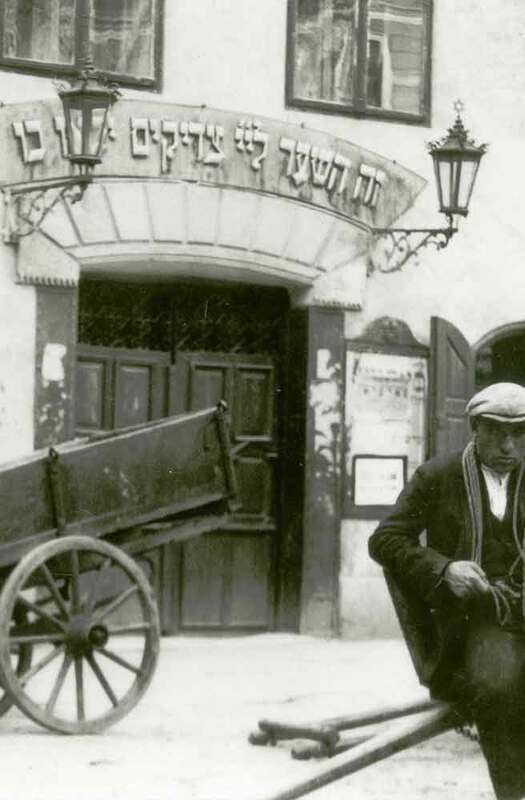 This rare film document captures the spirit of Jewish life in pre-World War II Vilna. Lively narration and music accompany film sequences of people engaged in the rituals and realities of daily existence at work, at play, in the synagogue, and in school. 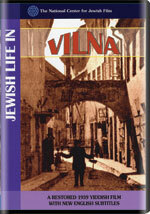 Vilna’s famous landmarks—the Strashun Library, Shnipeshiker Cemetery and the YIVO Institute—are among the film’s highlights. 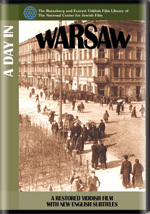 The lively Jewish neighborhoods of Warsaw, including Zamenhof Street and the commercial “beehive” Nalewki Street, were home to 400,000 Jews before World War II. A Day in Warsaw sets Warsaw’s modern multi-storied buildings and broad streets against its old market square and Jewish quarter. Trucks, trolleys, autos and buses meet horse-drawn carriages, pushcarts and porters in the bustling commercial district. Also shown are the Yiddish Theater, Gensza Cemetery and other Jewish institutions—the community council, hospitals, schools and synagogues. At film’s end, after Sabbath services, families pour into Krashinsky Park where children play and adults spiritedly debate the issues of the day.